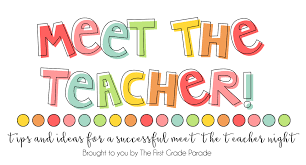 While teachers have already met quite a number of parents and caregivers, we do look forward to having the opportunity to meet with everyone together to communicate our vision for our learners, curriculum information, routines and organisational matters, during acquaintance meetings. We see Acquaintance Night as an opportunity for adults to meet each other and develop a sense of belonging to a new network of parents and caregivers. We hope new people are able to meet a few more people and feel a little more welcomed into our community. Specialist Teachers will be available to chat to in the Atrium from 6:45pm to 7:45pm.